Benetech committed to expanding its Bookshare program to India, where it will provide accessible books and periodicals to 5,000 adults and students with print disabilities. Benetech will add a minimum of 1,000 new locally-relevant titles to the Bookshare collection, provide 425 Google Nexus 7 tablets to Indian students, and hire two outreach coordinators to tour the country training the blind and their teachers to use Bookshare the variety of accessible formats it utilizes - ultimately creating new opportunities to engage and learn for those with print disabilities in India. Bookshare, Benetech's flagship global literacy initiative, helps to reshape opportunities for people with disabilities by making books and periodicals available in accessible formats. Benetech places particular emphasis on providing books through Bookshare that support educational and employment opportunities. Users can download books at any time from the collection of over 100,000 books available globally, with new titles added daily, in a variety of accessible formats; including digital braille, synthetic audio, and enlarged text. Bookshare titles are available as mp3 files that can be played on low cost devices, such as mp3 players and cell phones. Bookshare also provides digital text files that can be played on any Internet-connected computer or smartphone. By employing digital service delivery and building extensive partnerships with publishers who are the source of over 80 percent of Bookshare's newest content, Bookshare is more than fifteen times as cost-effective as traditional methods of delivering services to people with print disabilities, such as human-narrated audio. With generous support from the Lavelle Fund for the Blind, Benetech will provide access to Bookshare for 5,000 people with print disabilities throughout India, with at least 1,500 of these being university students. Benetech will also add a minimum of 1,000 new titles to the Bookshare collection. Working closely with the DAISY Forum of India, a consortium of major vision-related disability organizations, Benetech will ensure that these new titles directly address the needs and desires of Indian users. 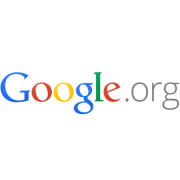 With support from Google's Androids for Good program, Benetech will distribute 425 Google Nexus 7 tablets with Android operating systems to Indian student users. Additionally, two India-based consultants will be hired to travel throughout the country and provide training on using Bookshare and other relevant technology. In these ways, Benetech will leverage its experience in scaling an immensely successful U.S.-based program, where it serves over a quarter million students, to this new commitment in India. 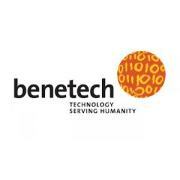 Benetech is a different kind of technology company. They’re a nonprofit whose mission is to empower communities in need by creating scalable technology solutions. Their work has transformed how over 425,000 people with disabilities read, made it safer for human rights defenders in over fifty countries to document violations, and equipped environmental conservationists to protect ecosystems and species all over the world. Their Benetech Labs is working on the next big impact. They’ve assembled a unique team of tech leaders, nonprofit social enterprise change makers, and experts in the fields of human rights, technology, education, and the environment. Their team is committed to bringing the power of technology to bear on today’s most pressing social needs and ensuring that those who would benefit most from technology have access to it. Benetech has adopted a core set of principles to guide their vision and decision making. They refer to these concepts daily in evaluating their work and their plans for the future. 1. Social Change Through Technology—Benetech is about creating positive social change at scale, and they use technology as the vehicle to drive it. Technology is a great way to get to scale and to reinvent the way people are doing business throughout the social sector. They’re not about profit; they’re about impact. 2. They Get Stuff Done—Benetechies are intensely results focused. They aim high, and then try to exceed their commitments. This means that they fully commit to the fields where they operate, learning as much as they can and following through on their promises. And they measure what they do so that they know they’re getting stuff done. 4. Open Over Proprietary—They’re an open-source organization. Not only their software but also the content they create is almost always available under Creative Commons licenses. And they value transparency. What’s really important is the mission, and they trust that being clear and open will lead to the best possible outcomes. There is information that they do consider highly proprietary: the information shared with them by their users and partners. They’re pragmatic enough to adopt a proprietary approach when they think it’s the best way to accomplish their mission goals, but they always lean toward being open. 5. Partnership Over Going Alone—Benetech’s strength is in developing technology responsive to real-world needs, but they can’t do it alone. In so many areas, they have chosen the partners who have deep knowledge and deep trust networks. Benetech provides what they are missing—the technology development expertise and the connections with top tech communities and companies. Their partnerships result in better ultimate social impact when they’ve built trust with the people with whom they’re working. 6. Value Flexibility—They respect their team and their commitment to do what it takes for social change. As part of that commitment, they prioritize flexibility both for and from their team members. This allows them to do more with less, without sacrificing teamwork and spirit. Their entrepreneurial approach also requires flexibility. When they’re creating something new, it never goes according to plan. They are always alert to better ways to accomplish the social objectives. 7. Personal and Professional Development—They care about the professional development of their staff and foster personal learning, growth and service—whether that’s helping a team member pursue graduate studies, become a better public speaker or deeply understand the challenges their users face. Benetech builds the careers of their team members while they benefit from their service to their mission. 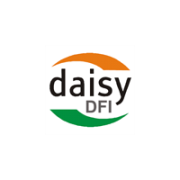 DAISY Forum of India is a forum of Not for Profit organizations from India who are involved in production of books and reading materials in accessible formats for persons who cannot read normal print. The DAISY forum of India envisions a world where people with print disabilities have equal access to information and knowledge without delay or additional expense in their own language. Print is not the only way to access books and other reading materials. These can also be provided as talking books, Braille Books, Large Print Books or E-text books. DAISY Standards show us how they can produce all these formats from a single source document. Thus DAISY is the best way to publish. DAISY Books provide rich reading experience with excellent navigation facility, excellent quality and retains print book structure such as pages, sections, footnotes, Etc. Thus DAISY is also the best way to read. Create and maintain nationwide network covering all states and languages for production and distribution of accessible reading material for persons with print disabilities. Bridge all technology gaps for production, distribution, and reading publications in Braille, Digital talking book, accessible e-text and large print formats. Legislative and policy formulation and amendments that would create and enable environment to ensure universal access to published material. Create awareness about reading needs of persons with print disabilities and their solutions among all stake holders. DAISY is an internationally recognised accessible multi-media publishing system, compatible with the World Wide Web. This new way of publishing is opening up a much wider choice of reading for individuals who are blind and others who are unable to use standard-sized print. For decades, the audio cassette (and before that the vinyl record) was the only way in which the majority of individuals unable to read print could access information. But, for anything other than reading a book from one end to the other, these analogue formats were simply inadequate. At its inception in the early 1990s, the ‘A’ in ‘DAISY’ represented the word ‘Audio’. Much has happened since then, taking DAISY far beyond simple digital audio, and making DAISY truly ‘a better way to read’. Most Fund support goes to organizations that serve the New York City metropolitan area or New York State. However, the Fund also funds programs benefiting the developing world. Both direct service and capacity-building support are concentrated on programs with records of achieving measurable impact on the population served. Lavelle Fund for the Blind, Inc., formerly the Lavelle School for the Blind, began operating a school for the blind in 1904. For most of the succeeding century, the Lavelle School was led by the Dominican Sisters of Blauvelt. It was the Sisters’ Christian values, caring, and professionalism that helped prepare generations of Lavelle students for independent, productive lives – and, in doing so, to inspire and attract ongoing support from New York’s Catholic community. In 1947, the School became a state-chartered and state-funded 4201 school dedicated to serving multi-handicapped children with visual impairments. Thereafter, the School did not rely on its endowment to fund annual operations – and the endowment grew considerably over many decades. It was in this fiscal context that in 1999, a new Lavelle School entity was created, holding only the assets needed to run the School. The old entity and its endowment became the Lavelle Fund for the Blind, Inc. (the Fund), a charitable foundation that administers grants to benefit the broader community of visually impaired people. -Vision rehabilitation, education, and other non-medical services to or on behalf of people with irreversible vision loss. -Eye care (ophthalmic, optometric, and related public health services) for disadvantaged people. Support is concentrated mainly on organizations serving the New York City Metropolitan area and New York State. Support also goes to developing world programs, particularly primary and secondary eye care programs. While especially interested in programs that reflect the Catholic tradition of serving the disadvantaged, the Fund makes grants to a broad range of quality direct service programs. Support is concentrated on programs that present evidence of program impact on the population served and plans for making measurable progress toward pre-determined goals in a specific time frame.